Today is much more than just that silly Groundhog Day which must have been launched by the Society for the Advancement of an Ugly Animal. 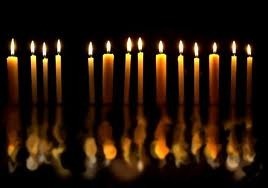 Today is the rarely celebrated Candlemas Day and I suggest you light some candles today (rather than curse the symbolic darkness). I have practically ceased to burn REAL candles because I’m so bad about forgetting to blow them out. I wish I had a dollar for every time I’ve left town and had to call Brenda to come over and blow out a candle I’d forgotten to snuff out. It has become so dangerous, I use those battery operated candles which just don’t dance around and mesmerize like candlelight. This ancient festival marks the midpoint of winter, halfway between the shortest day and the spring equinox. In pre-Christian times, this day was known as the ‘Feast of Lights’ and celebrated the increase strength of the life-giving sun as winter gave way to spring. 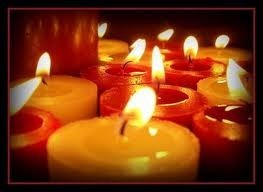 Candles were important in those days not only because there were no electric lights. Some people thought they gave protection against illness and famine. For Christians, they are a reminder of something even more important. Before Jesus came to earth, it was as if everyone was ‘in the dark’. People often felt lost and lonely. Afraid. As if they were on their own, with no one to help them. Then came Jesus with his message that he is with his followers always ready to help and comfort them. As if he is a guiding light to them in the darkness. Christians often talk of Jesus as ‘the light of the World’ – and candles are lit during church services to remind Christians of this. After dark today I’m going to light all my candles in honor of my loved ones (I may have to go buy mores candles) and hope I don’t set the house on fire. Think I’ll set the kitchen timer for 30 minutes at which time I’ll blow them out and regretfully turn on the electric lights. 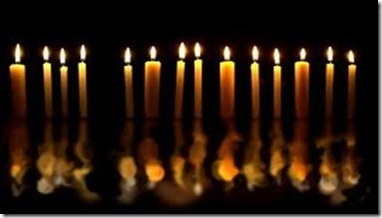 This entry was posted in General Stuff and tagged Celebrate Candlemas Day on February 2, History of Candlemas by Emily Jones. Bookmark the permalink.